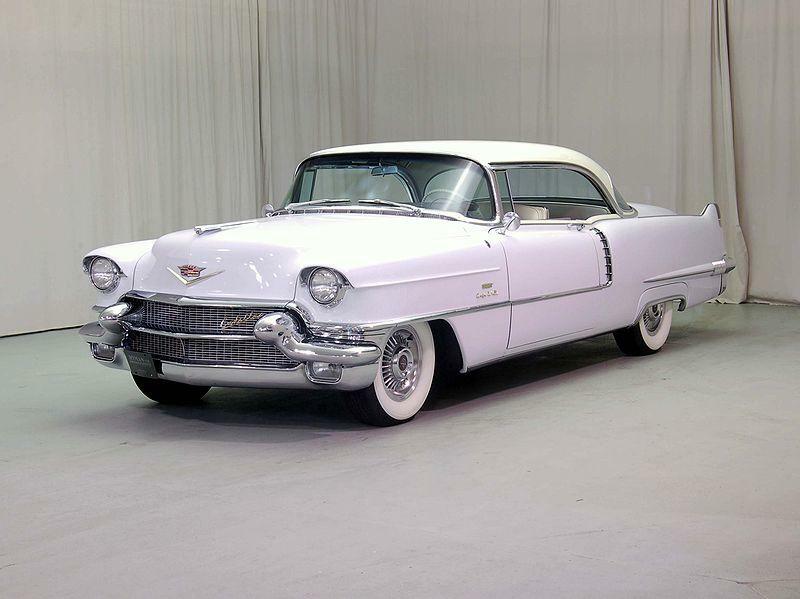 The 1955-56 Cadillacs were variations on the 1954 design, but were favored by a variety of drivers ranging from youthful rock-and-roll stars to graying bankers in Omaha. Subtle changes fore and aft, revised side trim and other detail tweaks kept buyers happy. The 1956 Coupe de Ville was elegantly refined and its new companion, the Sedan de Ville, was Cadillac's first four-door hardtop. Meanwhile, the Cadillac V-8 grew to 365 cid, and GM introduced a smoother shifting Hydra-Matic. New styling inspired by GM Motorama concepts and an innovative X-frame chassis enabled a 3-inch height reduction for 1957, creating a daringly modern Cadillac. Prominent forward sloping fins distinguished the ’57 de Villes, while the blade-like fins of the generally heavier-appearing ’58s pointed rearward. During this period, the Sabre wheels featured on the ultra-swank Eldorado could be ordered on de Villes — and in 1958 the Eldorado Brougham's 335-hp triple-carbed V-8 was also an option. Restoration of a chrome-laden ’50s-era de Ville requires a serious financial commitment. Fine examples, however, fairly exude the panache and quality that made GM's prestige leader the Cadillac of American cars.